The blood vessels of the body invisibly do their job. That is until hereditary, lifestyle and aging factors leads to their dysfunction. When the ability for blood to flow in and out of the vessels is impaired, a tangled web of red, purple, blue and green appears on the skin’s surface. Fortunately, laser therapy provides a safe, non-invasive solution to correct the common aesthetic concern of leg veins, blood vessels, spider veins, and hemangiomas. As a centre for advanced laser, aesthetic dermatology and facial cosmetic surgery, Cutis is committed to providing safe and effective treatments with your comfort in mind. A professional consultation will determine if a laser treatment for leg veins is right for you. No anaesthetic is required for this treatment. A rapid heating sensation and passing discomfort may be experienced during the treatment session, which generally takes 15-30 minutes. Patients can expect some redness and mild swelling to occur, and possible bruising. Patients can expect to return to their normal daily activities immediately post-treatment. Cutis Cosmetic and Laser Centre uses specialized lasers to treat leg veins, including and ND Yag laser. These devices are are tuned to target and treat the various colour tones specific to leg veins. There is an immediate visible result from the very first laser pulse. To clear veins and vascular lesions, laser energy is specifically employed to heat targeted vessels leading to complete or partial collapse of the vessel walls. Small veins may become blurred while larger veins may temporarily darken. The surrounding skin is left intact. The constricted blood vessel slowly degenerates and is naturally resorbed from the surface of the skin. 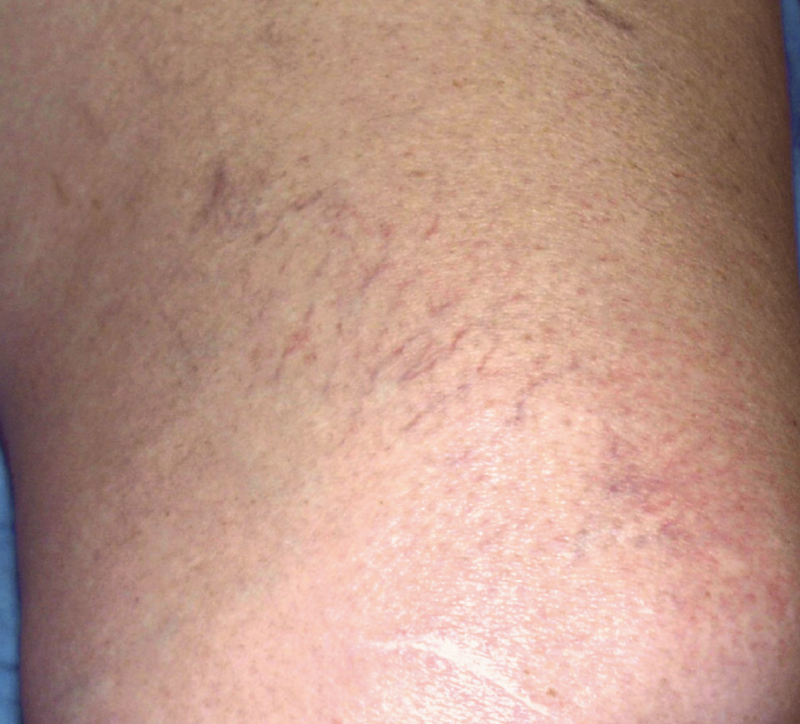 Over the weeks following the first treatment, the body naturally removes unsightly veins. Typically 2-3 treatment sessions spaced one month apart are required. 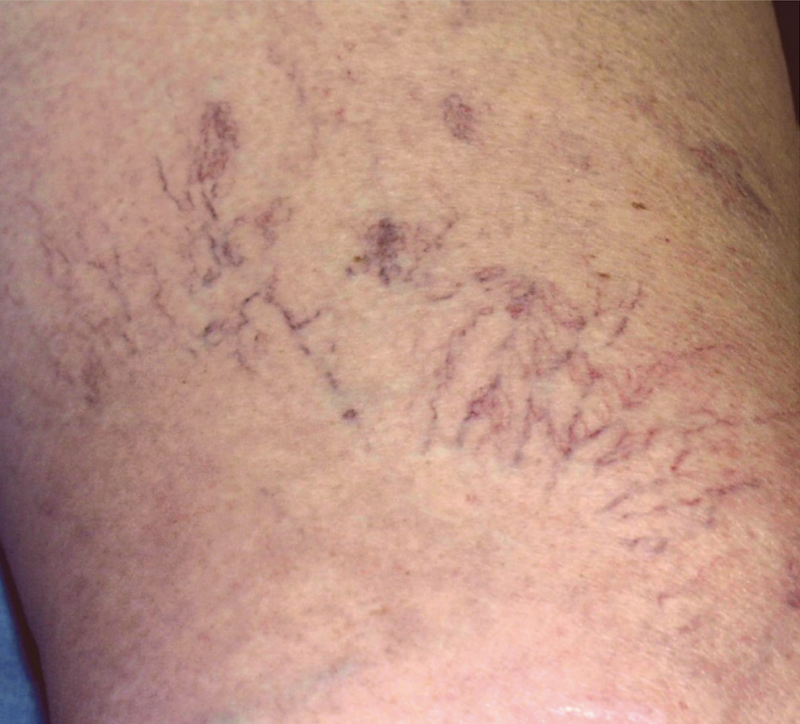 Each vein responds uniquely to treatment; some may clear within one treatment, while others will require repeated sessions for optimal results.